If you would place yourself at the crazed/extreme/obsessed end of the blues harmonica student spectrum, and/or if you are a dedicated follower of Adam Gussows Dirty-South Blues Harp Channel at YouTube, this collection is for you. For only $40, you get the audio tracks from more than ONE HUNDRED ten-minute QuickTime video tutorials covering every possible area of the blues harmonica, from bends, warbles, tongue-blocking, overblowing, high notes, tone production, vibrato, blues scales, and other techniques, to canonical tunes by a range of classic and contemporary players, to an experience-based rendering of the blues apprenticeship process and a series of spiritual, pedagogical, and philosophical orientations towards the harmonica and its repertoire. In addition to all that, Gussow demos and dissects a number of tunes and riffs that he has performed and recorded with Sterling Mr. Satan Magee as part of the duo Satan and Adam, including C. C. Rider, Mother Mojo, and Unlucky in Love. The range of topics is evident in the titles of the various mini-series Gussow has incorporated into this years worth of harmonica teachings, including Blues Harmonica Secrets Revealed!, Modern Blues Harmonica, Copy and Comp, Journeymans Road, and Blues From the Crossroads. Again, please note: These are the AUDIO TRACKS from Gussows YouTube lessons--mp3s--and do NOT include any video. This collection is ideal for long commutes, solo cross-country journeys, ultramarathons (the Leadville 100, the Western States 100, Badwater, etc. ), summer vacations, very late nights in urban lofts, and extended mountain retreats dedicated to radically improving your blues harp game. Only the dedicated need apply. Novices will get a great deal out of this collection, but it is primarily oriented towards players who have at least a few of the basics under control--single note melodies, a bend or two. 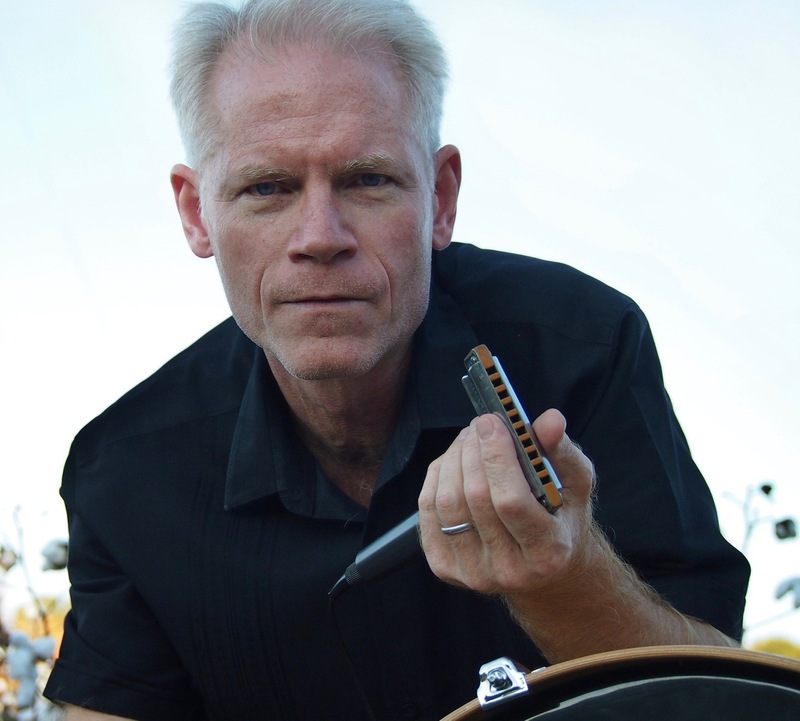 Intermediate players looking to supercharge their playing and make a great leap forward will find Blues Harp Complete to be a goldmine. All 100+ mp3s are contained in a very large (300+ mb) zip file. It takes approximately 15 minutes to download on a high-speed connection. Purchased individually, these mp3s would cost you $50. You save $10 by purchasing this complete set and only need to download one zip file. Altogether, this collection represents roughly SIXTEEN HOURS of blues harmonica instruction. You could, of course, download all 100+ videos from YouTube and strip the audio tracks yourself. Or you can purchase this collection for only $30 and let somebody else do all the hard work. Note #2: Gussow plays a range of harp keys in the course of this collection, including A, B-flat, C, D-flat, D, E, and F. Most of the lessons, however, feature a B-flat or C harp. ADAM GUSSOW, an associate professor of English and Southern Studies at the University of Mississippi, is half of the legendary blues duo Satan and Adam. Hes been playing the harmonica for more than thirty years and teaching classes and individual students for more than twenty. Rounder Recording artists Satan and Adam have been featured on the cover of LIVING BLUES magazine, have made three CDs (including the W. C. Handy Award nominated HARLEM BLUES), and have played all the major blues and folk festivals. Gussow is the author of three books: MISTER SATANS APPRENTICE: A BLUES MEMOIR (1998), SEEMS LIKE MURDER HERE: SOUTHERN VIOLENCE AND THE BLUES TRADITION (2002), and JOURNEYMANS ROAD: MODERN BLUES LIVES FROM FAULKNERS MISSISSIPPI TO POST-9/11 NEW YORK. For the last few years he has coached regularly at Jon Gindicks Blues Harmonica Jam Camps.